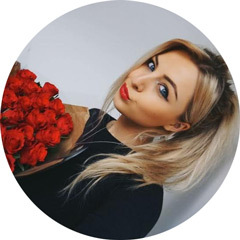 I'm sure you've all heard of Zoe Sugg aka Zoella and if you haven't, where have you been?! Zoe is the queen of YouTube and a huge inspiration to myself and many other bloggers and vloggers. 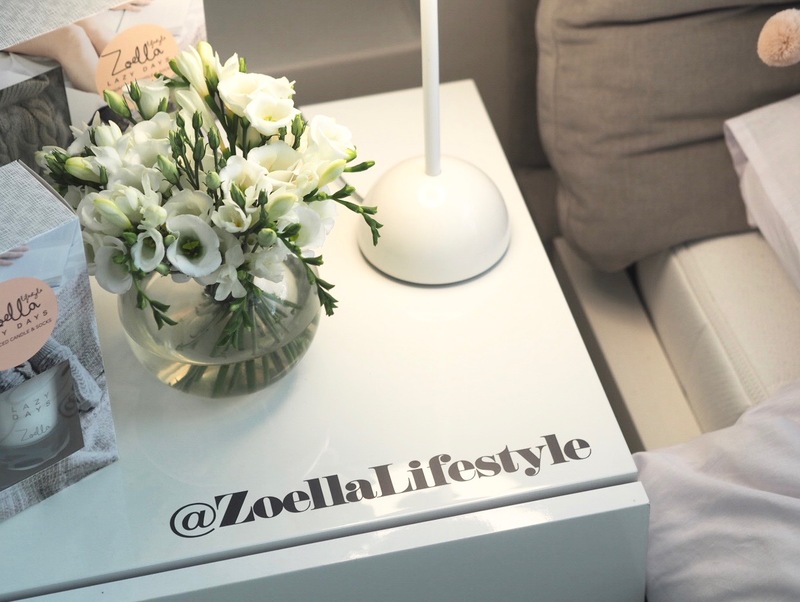 Since beginning her YouTube channel she's released two books (and a third is on its way), her own beauty line 'Zoella Beauty' and the latest addition to her business empire, 'Zoella Lifestyle' which I'm super excited to share with you guys today! 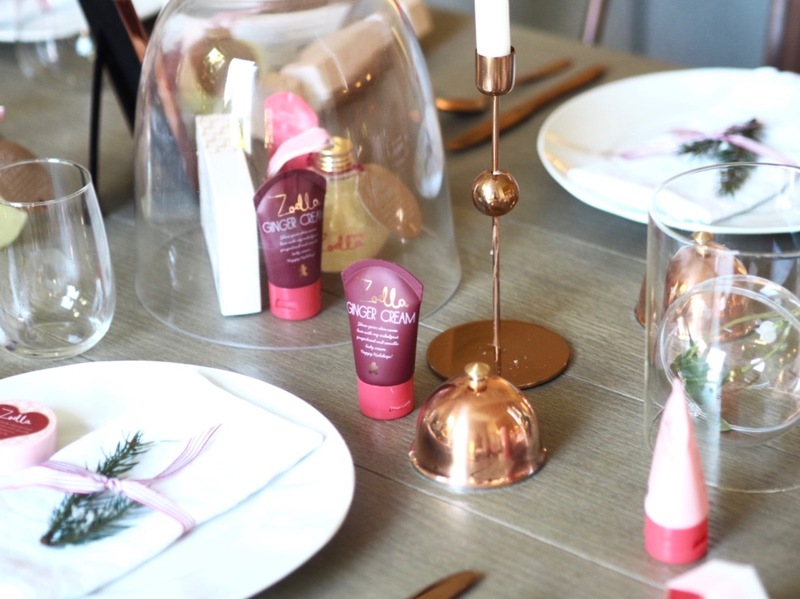 I was very kindly invited along to the 'Zoella Apartment' last week so see the new range of Zoella Lifestyle products which were beautifully displayed in the most amazing London apartment. Trust me when I say it was serious goals. I went along with my friend Lucy and we were both in awe of how pretty it was - I wanted to move in! 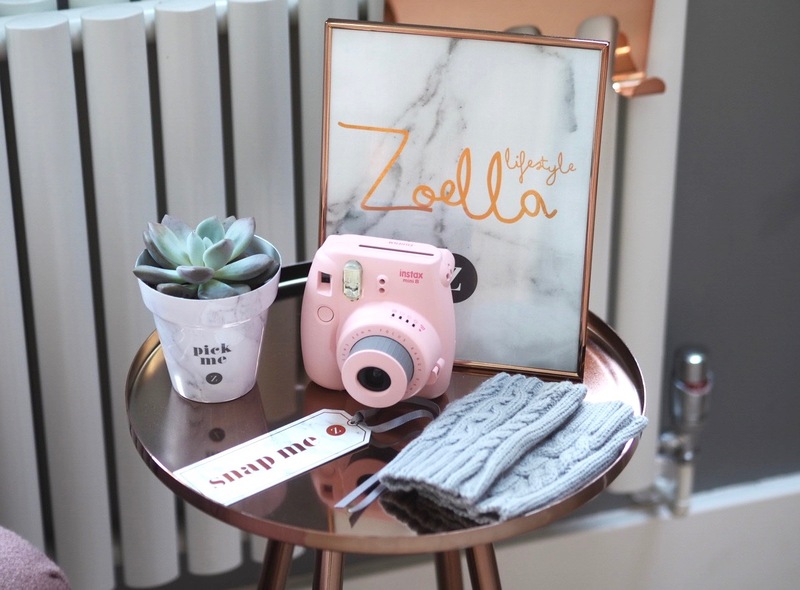 Each room of the apartment was full of Zoe's new lifestyle products as well as some items from her current beauty line and her new upcoming Christmas beauty products. There was such a lovely atmosphere in the apartment, I was completely in my element - there was a Christmas tree, presents and freshly baked gingerbread mean - delish! 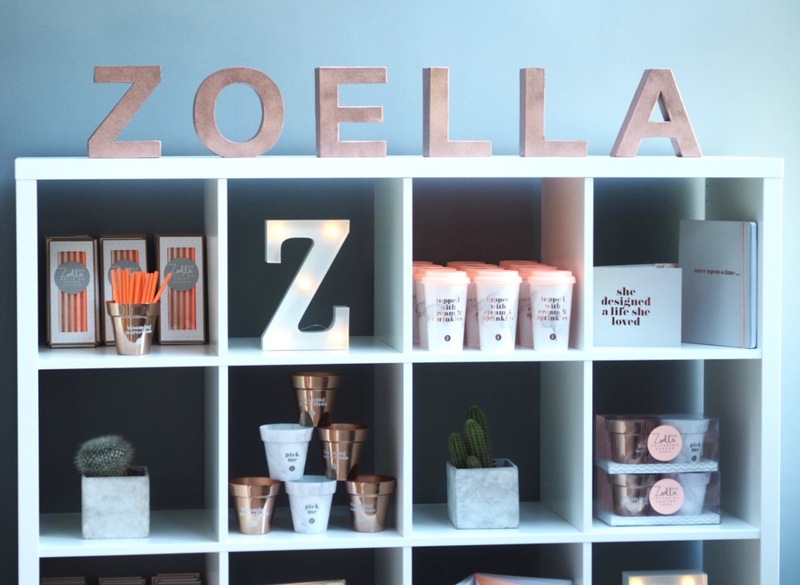 The new range of Zoella Lifestyle products is absolutely amazing and there isn't one thing I didn't like or wouldn't use. I was actually surprised by how big the collection is - there's everything from candles and reed diffusers to notepads, pencils, storage pots, thick cosy socks and even a cute little pillow. 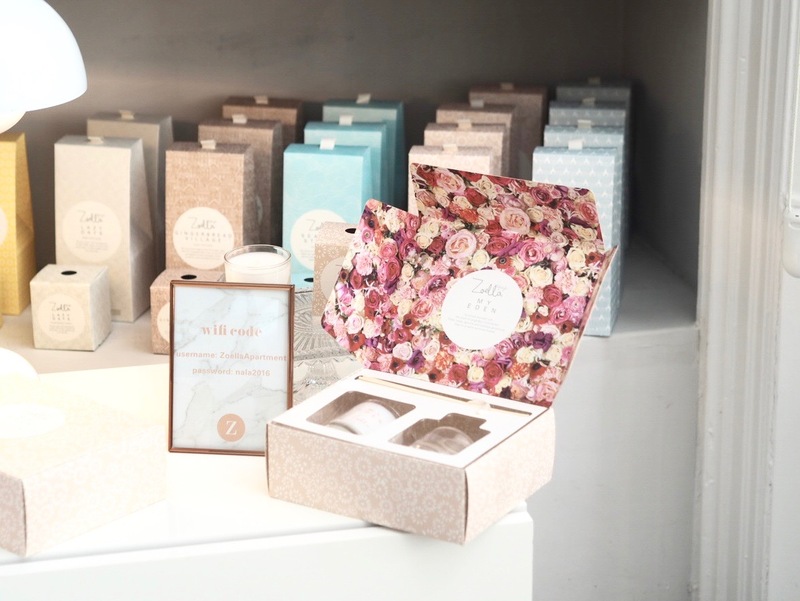 I'm very into candles and lovely scents for the home so I was very excited by the range of candles and reed diffusers - the packaging is very grown up and sophisticated, each scent has a cute name and most importantly, they smell AMAZING. There isn't one I didn't like. 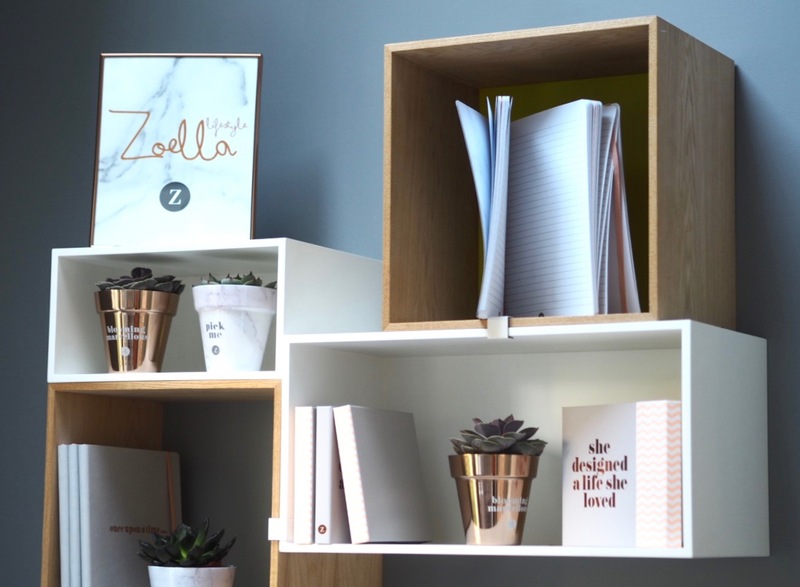 Another thing I'm obsessed with is stationary so I was very pleased to see that Zoe has included some super cute stationary pieces in her lifestyle collection. I love the colour scheme of copper, grey and marble that she's gone for - it's right up my street. The notebooks are so lovely and I love the quotes she's used on them with 'she designed the life she loved' being my favourite! 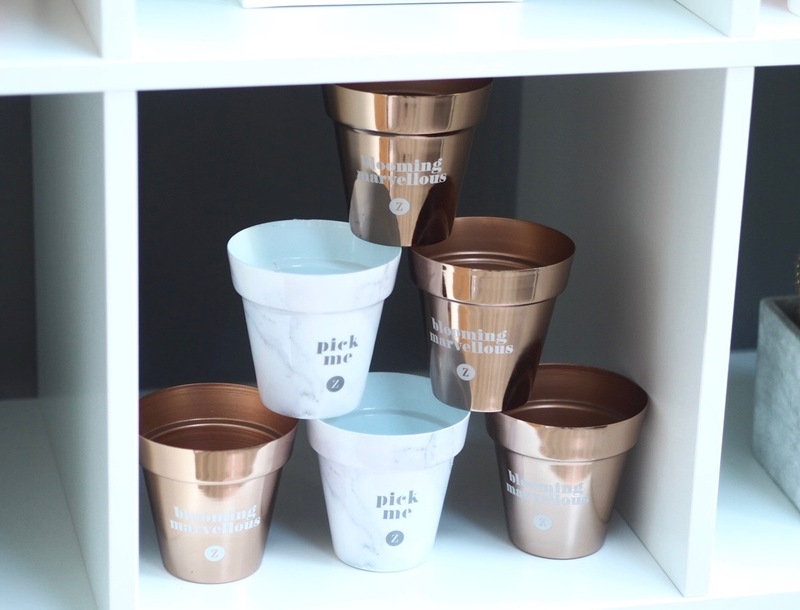 I'm also so in love with the set of two marble and copper storage pots that say 'Pick me' and 'blooming marvellous' which can be used as cute little plant or pen pots! They've gone straight on my desk and will make a lovely addition to anyone's office space. 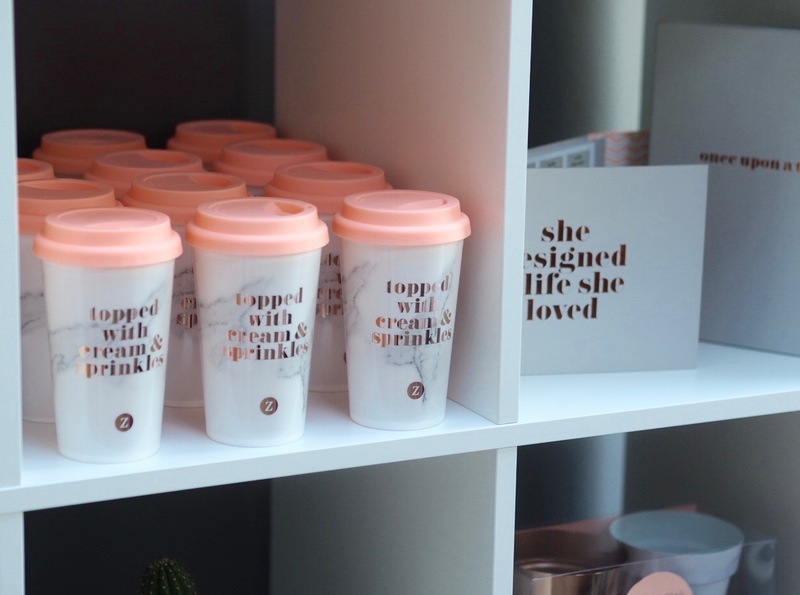 Another favourite would have to be the marble 'topped with cream and sprinkles' flask - how bloomin cute?! 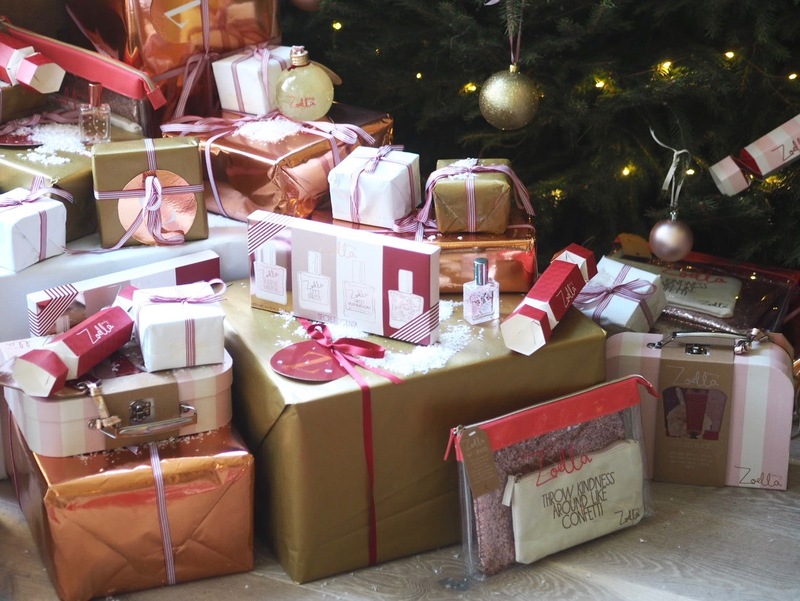 As for the beauty products, they're all so nicely packaged and would make such lovely gifts or stocking fillers at Christmas time. There's everything from body sprays to lotions, scrubs, hand creams, lip balms and even a hand sanitiser. Basically, anything you'd need for a good old pamper session, you'll find it in Zoe's beauty range. I love that a lot of it is themed around gingerbread too as it's such a lovely Christmassy scent. 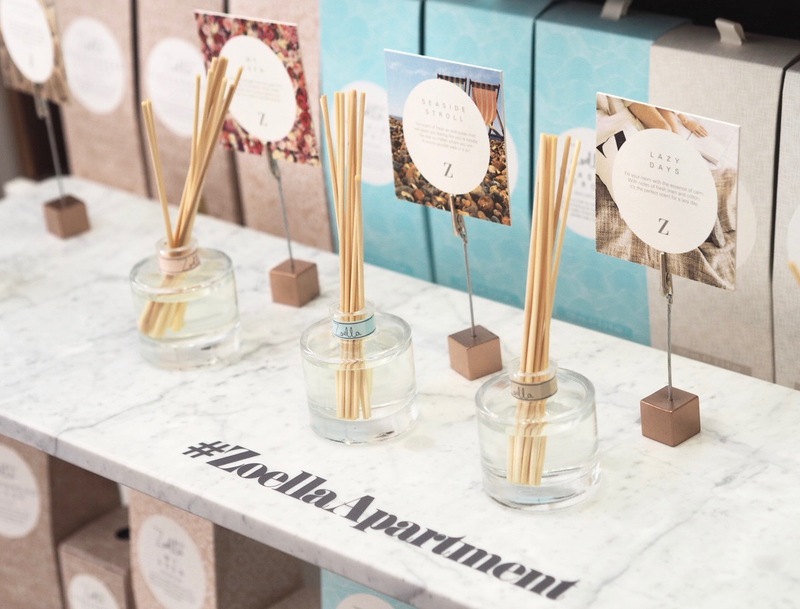 Overall I think the Zoella Lifestyle products are going to be another huge success, if not the biggest success yet. I think these products appeal to so many people of all different ages, not just Zoe's younger fans. For example, I know my nan would love the candles and reed diffusers just as much as I do and my teenage sister would love the stationary for college whilst I'd 100% use it all too so it's a really appealing range to lots of different people. 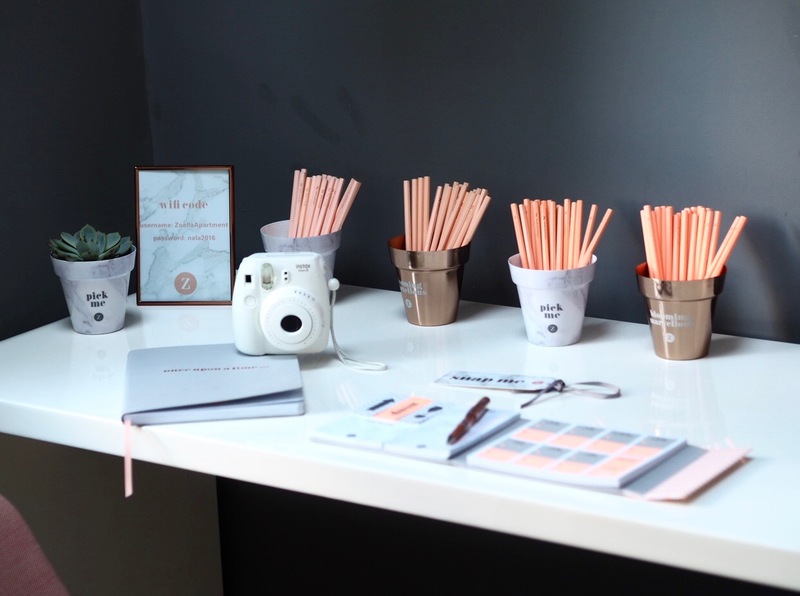 Let's face it, who doesn't like their home to smell nice and have cute stationary on their desk?! The whole lifestyle collection will be available to buy from Boots in store and online from the 19th September besides the Gingerbread candle and diffuser which is exclusive to Superdrug and online from the 19th September / in store from the 21st September. 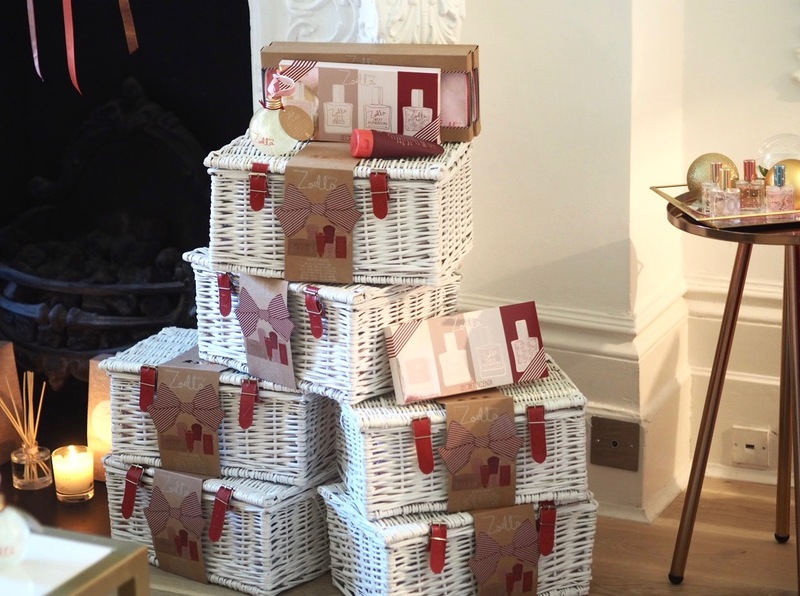 A selection of the products will also be available from Debenhams early October and Waterstones early November. 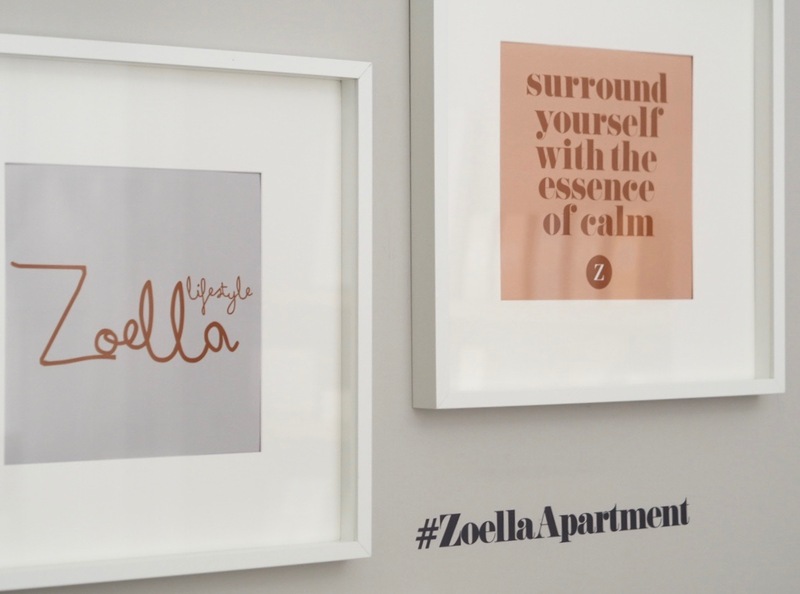 You can watch Zoe's vlog here for a tour of the apartment and more details on the full range of products / launch dates too! Love this! I'm so excited to get my hands on the majority (okay all) of this range when it comes out! So lucky that you got to visit the apartment. If only it was a little closer to me but it looks wonderful in all of your photos. Going to get a couple of the gingerbread candles for when Autumn really sets in! Everything looks so pretty! Zoella is so beautiful and successful she is actual GOALS. I am in love, I will definitely be trying out the candles and the hand sanitiser. Great post! 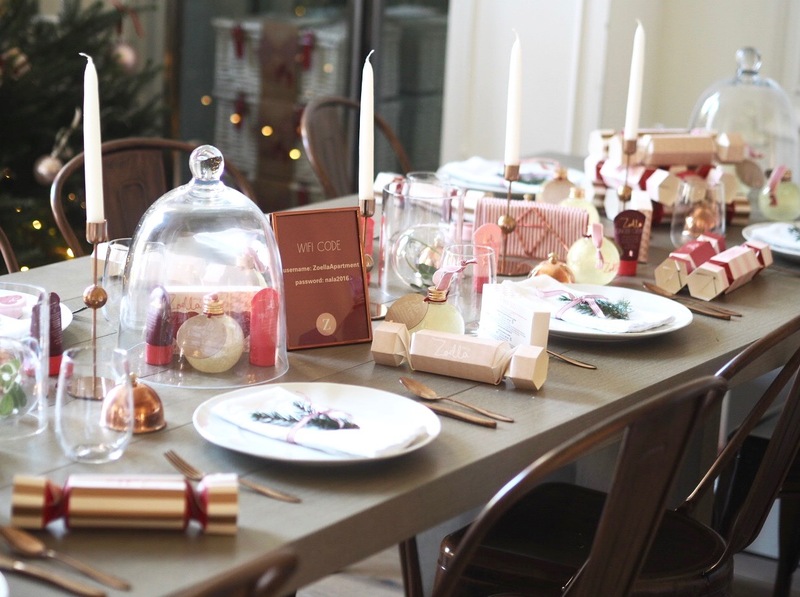 I am so excited for the festive smelling reed diffusers! OMG this apartment looks so gorgeous. I love the coffee cup it's so cute and I do love a cute cup to take around with me! Definitely agree that this is going to be a huge hit!! Beautiful photo's too! I can't wait to try here lifestyle products, especially the candles they sound great! Oh wow! I just love everything! :) TFS! I'm completely in love with the colour schemes that are used. 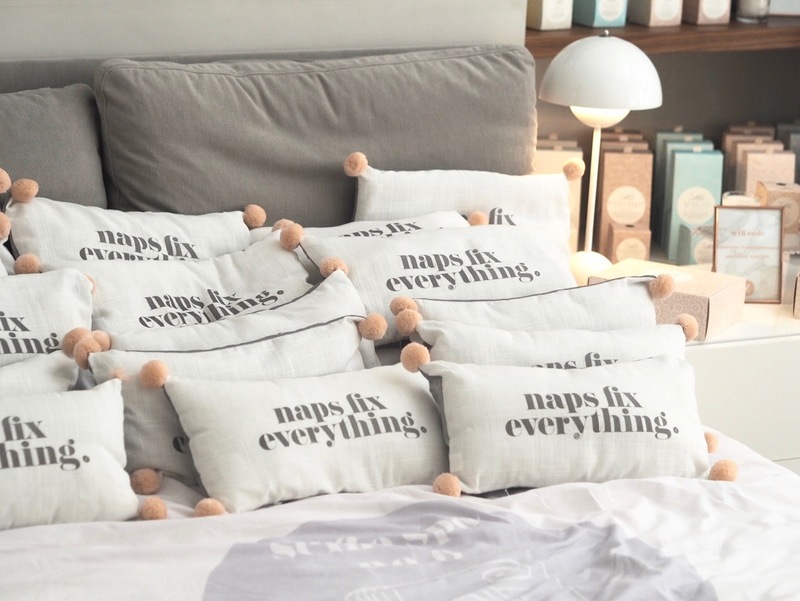 Hopefully mu boyfriend won't be too annoyed when I stock the apartment up with these.